A former reporter from Cambridge is preparing to cycle the length of the country in a 1,000 mile charity bike ride in memory of his father. 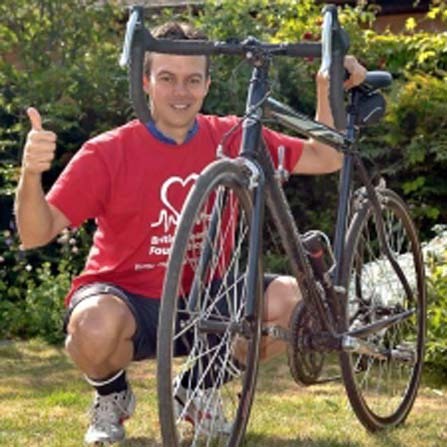 James Fuller, who describes himself as a non-cyclist, will tackle the Land’s End to John O’Groats challenge tomorrow in a tribute to his father Tony, who died from a heart attack in 2009. The 38-year-old from Chatteris, who is raising money for the British Heart Foundation said: “It’s definitely going to be the biggest challenge I’ve ever done. It’s averaging 70 miles a day for 14 days so it’s a huge challenge. “I’m not a cyclist at all really. The only bit of cycling I’ve done in the last 25 years was an ill-advised London to Brighton bike ride. I couldn’t walk for a week after that. 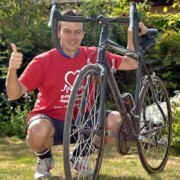 James, a former Cambridge News journalist, has already raised more than £500.